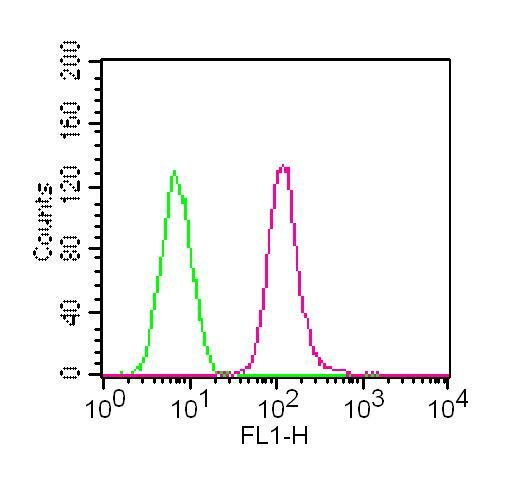 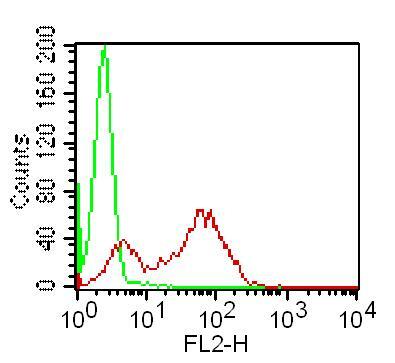 Fig-1: Intracellular flow analysis of TLR2 APC conjugated in PBMC (Monocytes) using 0.5 µg/10^6 cells of TLR2 APC conjugated antibody (Clone: ABM3A87). 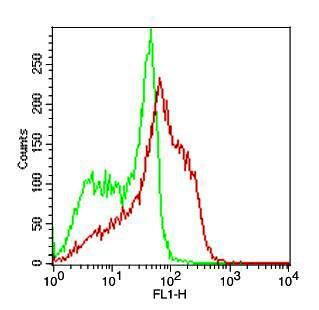 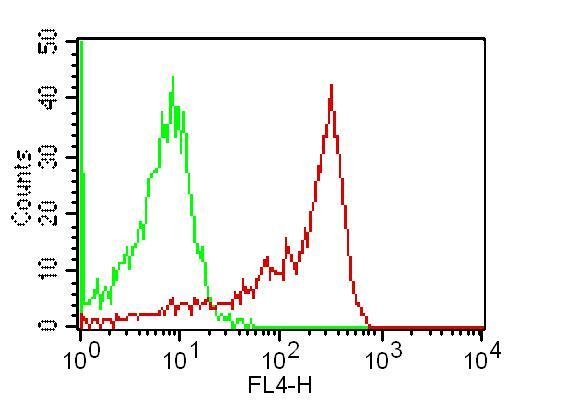 Green represents isotype control; red represents anti-TLR2 APC conjugated antibody. 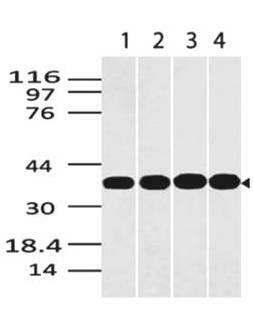 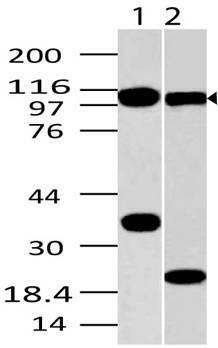 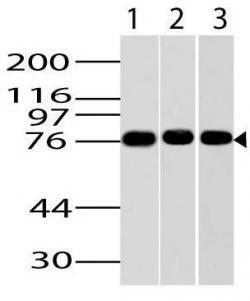 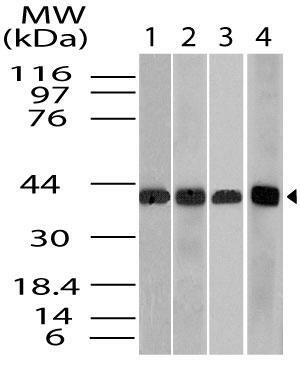 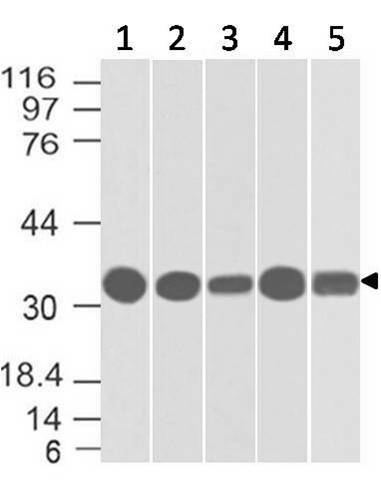 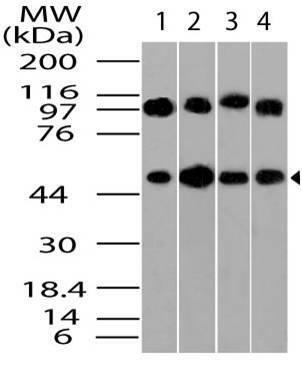 Immunogen Information : A partial length recombinant TLR2 protein (amino acids 180-420) was used as the immunogen for this antibody. 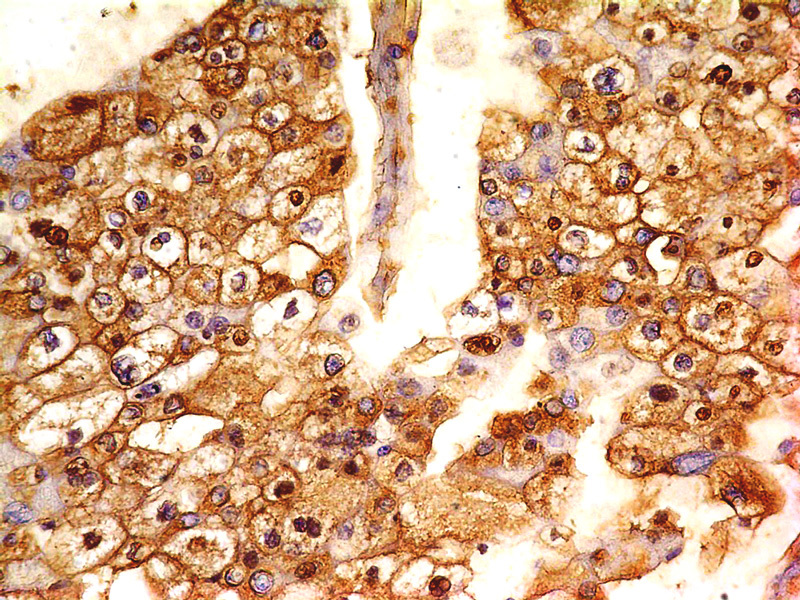 TLR2 (Toll-Like Receptors 2) is a member of the TLR (Toll-like receptor) family that plays a fundamental role in pathogen recognition and activation of innate immunity. 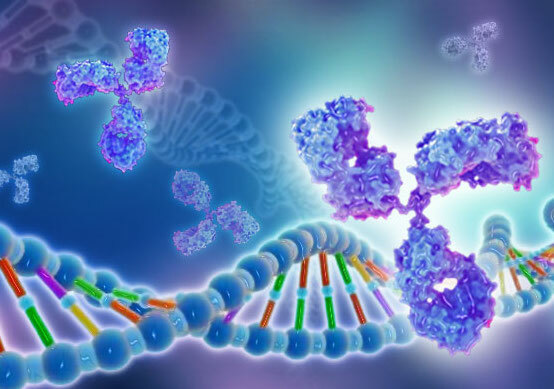 TLR2 forms heterodimers with TLR1 and TLR6, which is the initial step in a cascade of events leading to significant innate immune responses, development of adaptive immunity to pathogens and protection from immune sequelae related to infection with these pathogens. 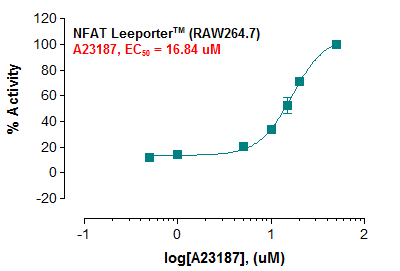 TLR2 also interacts with a large number of non-TLR molecules, allowing for recognition of a great number and variety of PAMPs (pathogen-associated molecular patterns). 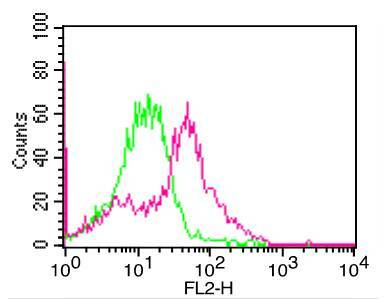 TLR2 expression has been detected in immune cells, endothelial, and epithelial cells. 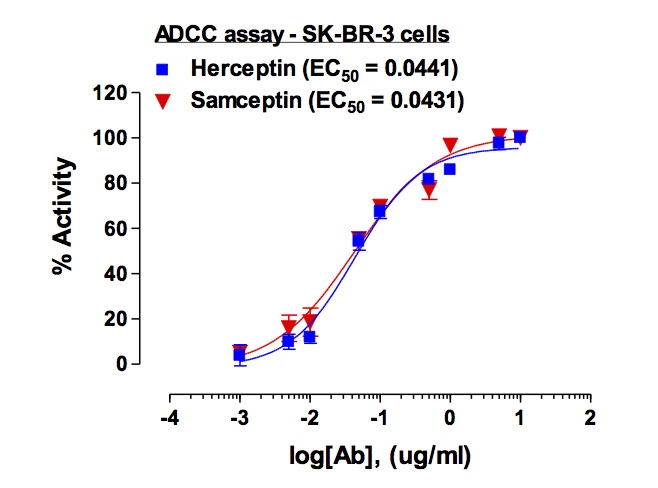 Content : 0.04 mg/ml in PBS with 0.05% Azide.